Spring is almost here and with it, an explosion of color! 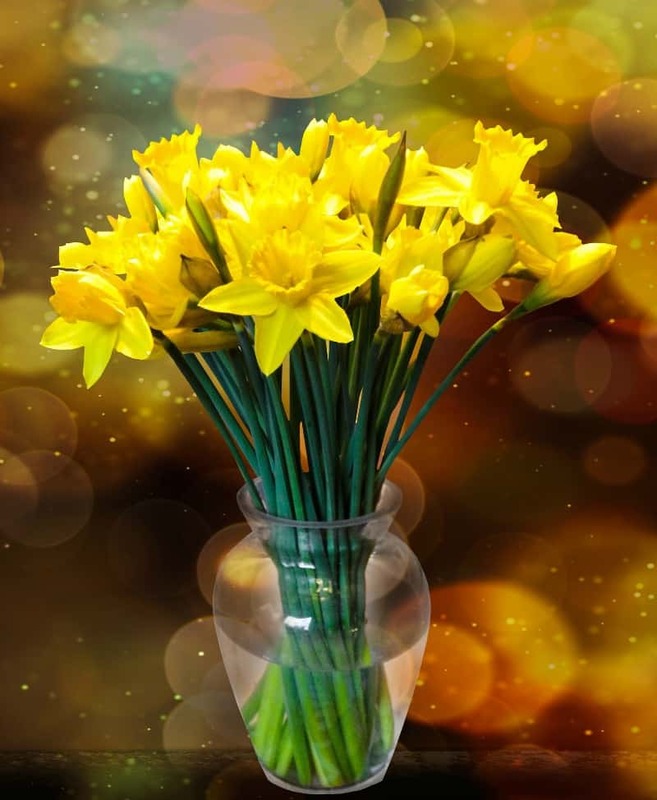 Today I bring you a collection of yellow spring flowers that is sure to cheer you up. 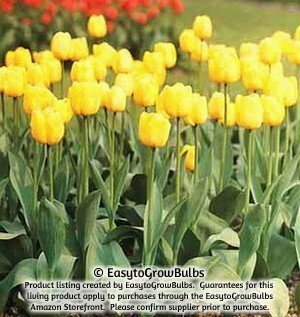 See which ones you’d like in your garden and plant some. 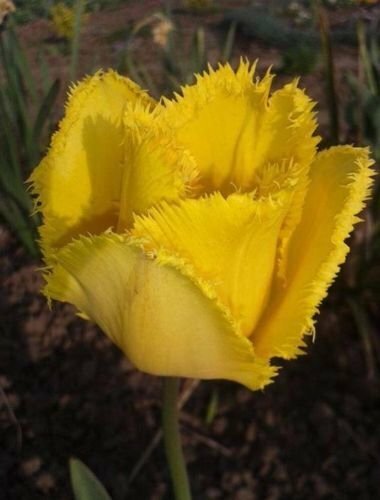 Yellow is probably the first color we see in the spring. It’s a welcome way to get out of the winter blues! 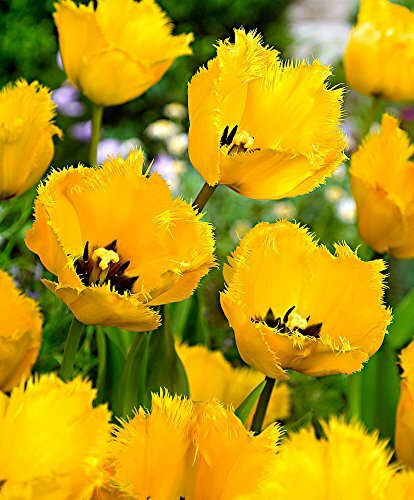 Here are just a few of the most popular yellow spring flowers from gardens everywhere. 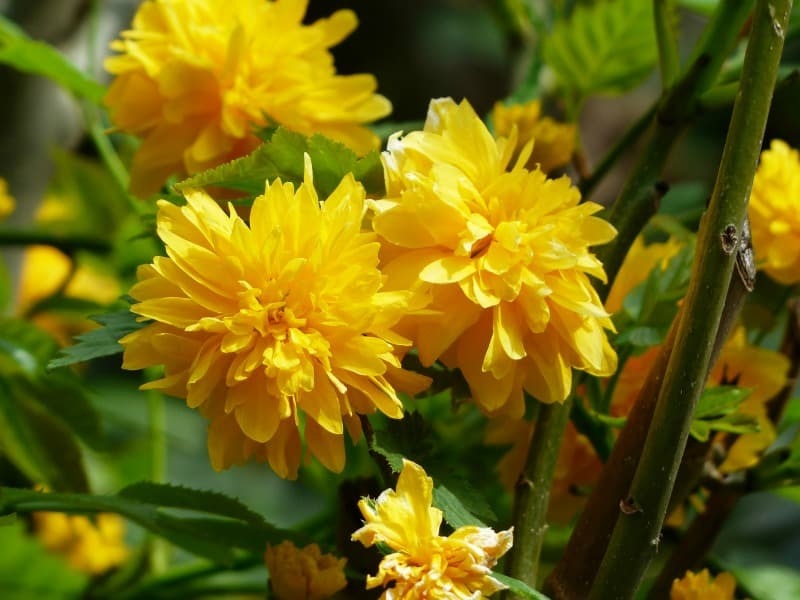 how to grow black eyed Susan, a beautiful yellow summer flower. I don’t think I’ve ever seen a blooming Forsythia bush that wasn’t impressive. They put on a much needed spring show that doesn’t disappoint. 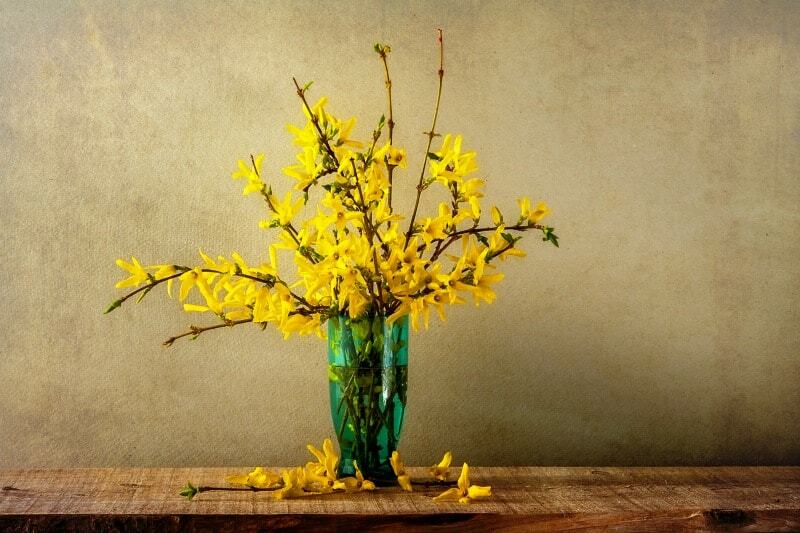 Forsythia grows just about anywhere, and fast! I love snipping a few branches just before they bloom and bring them indoors. It brightens up the whole room and makes everyone happy. Wouldn’t that look good on YOUR table? I bet it would. 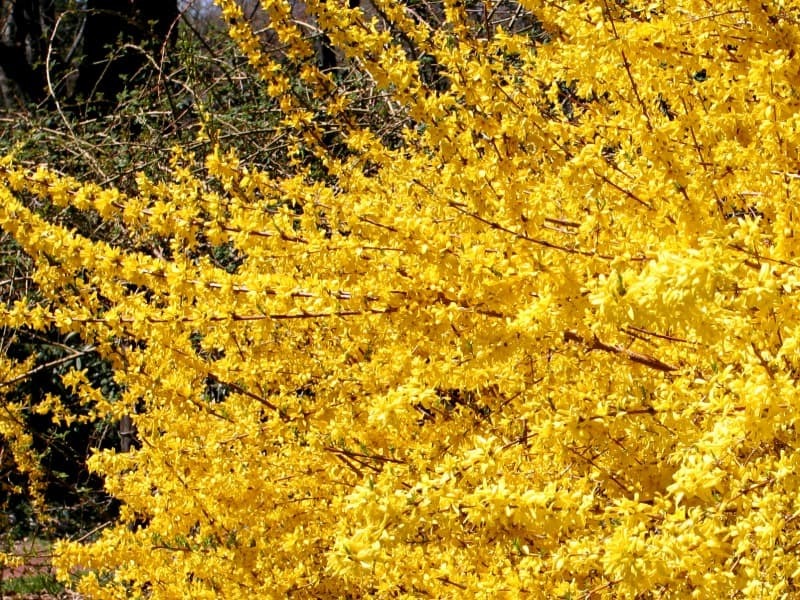 Forsythia bushes need to be pruned vigorously, so don’t feel bad picking a few branches to bring some “sunshine” into your home. 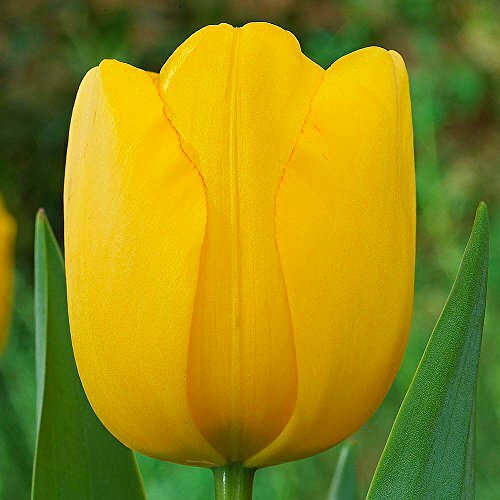 I see a lot more red or white tulips, but there are several types of yellow tulips that are just gorgeous! 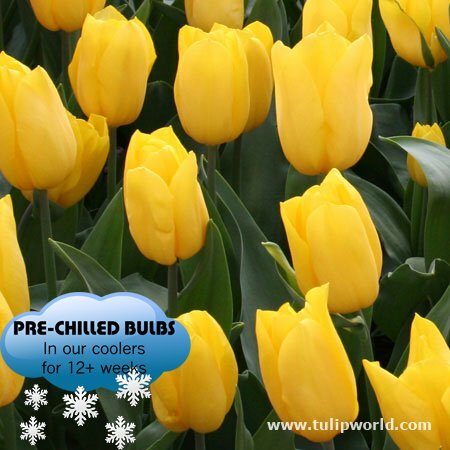 These lily flowered tulips come in other colors too: they make a perfect addition to borders, beds and even containers. 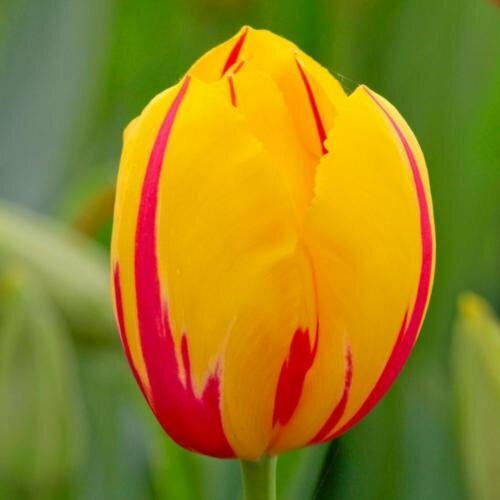 What a gorgeous tulip! 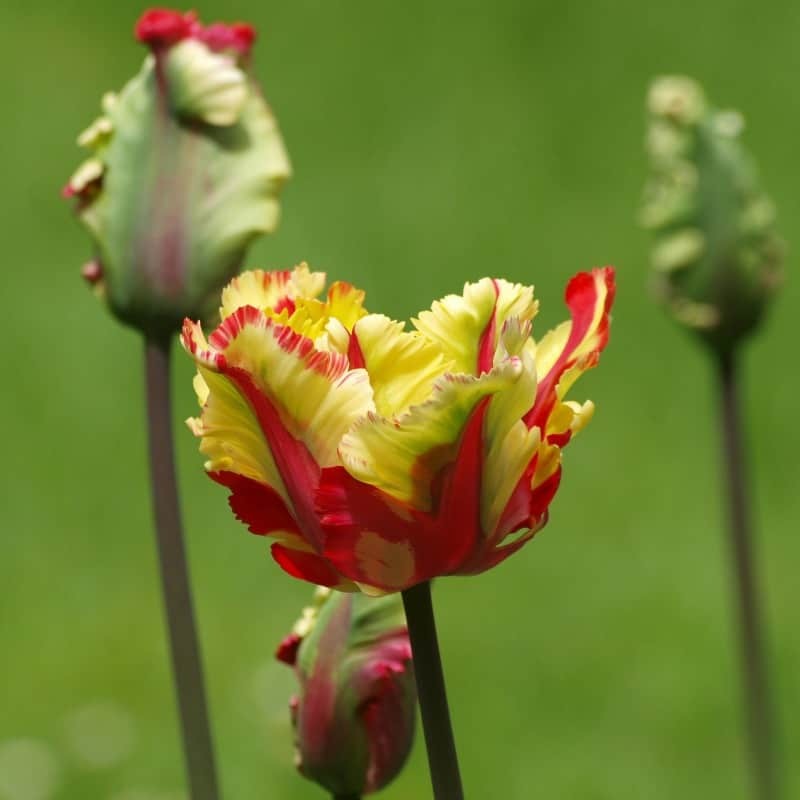 These yellow and red parrot tulips make a great statement in any setting. 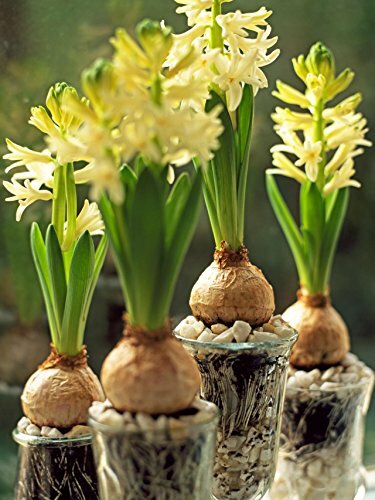 they are so worth adding to your spring garden! What a beautiful work of art! 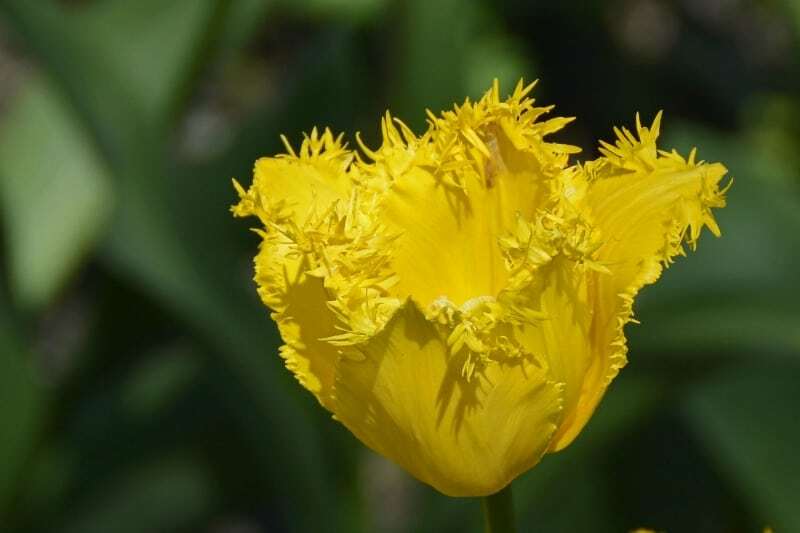 this beautiful fringed tulip will add some texture to your tulip garden. 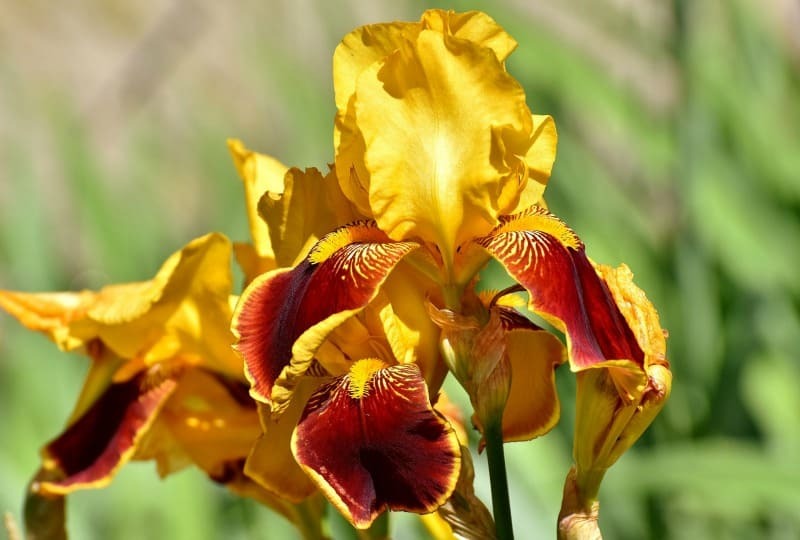 I have yellow iris in my front yard: they are so beautiful and delicate! Right behind them I have pink peonies, giving me a really nice show of color and heavenly smell! 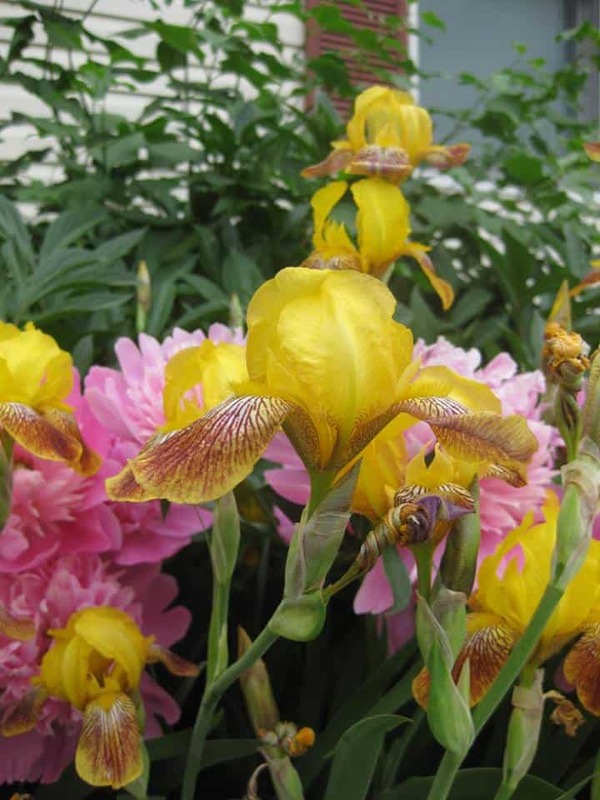 Here’s another view at these gorgeous yellow iris flowers! 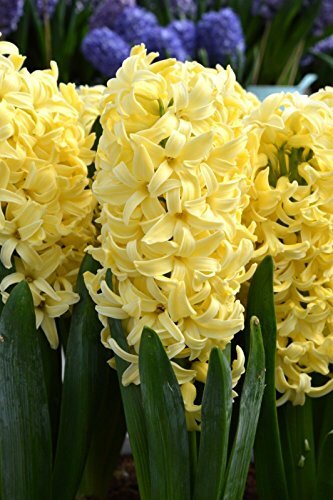 Yellow hyacinths are rare, but so beautiful! Combined with purple and pink ones they make a real show of color and aroma when you pass them by. 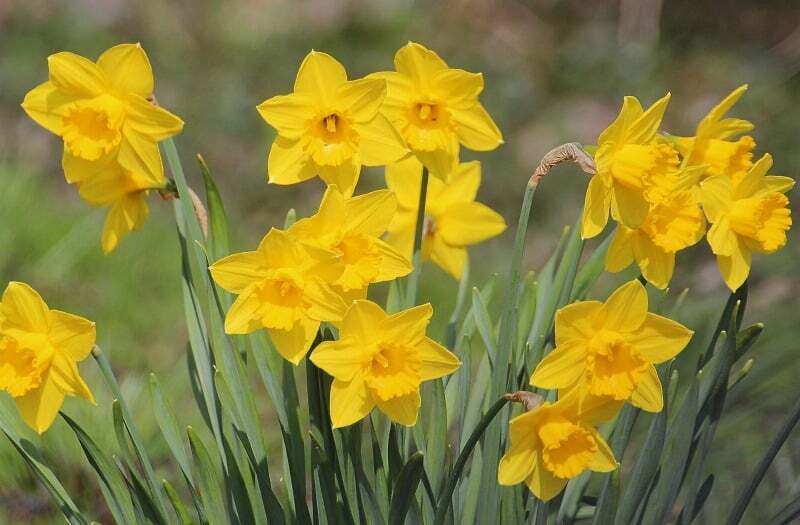 Very popular everywhere, yellow daffodils are pretty much in every yard. 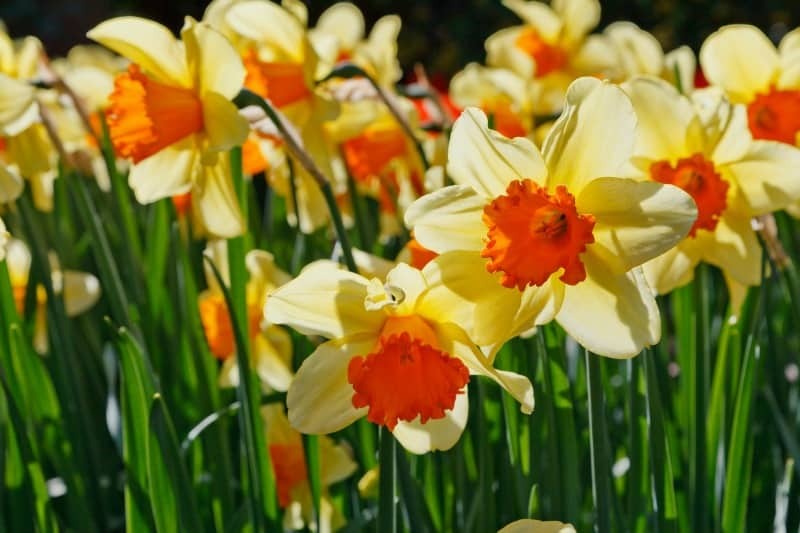 There are many color combinations of daffodils: I love this one with a bit of orange in the middle. So pretty! They make beautiful cut flower bouquets too. 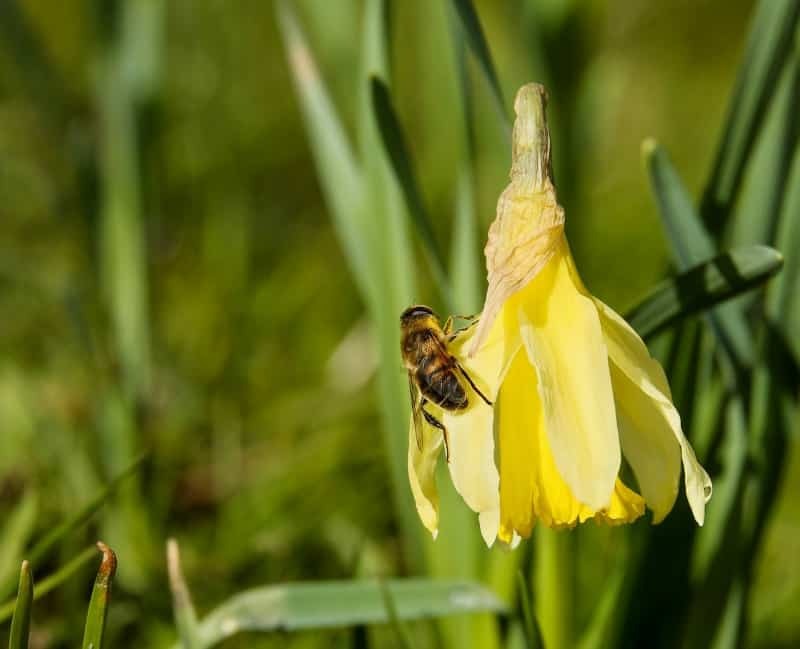 Daffodils are also loved by bees. Look at this none doing its work! Plant them and forget them. 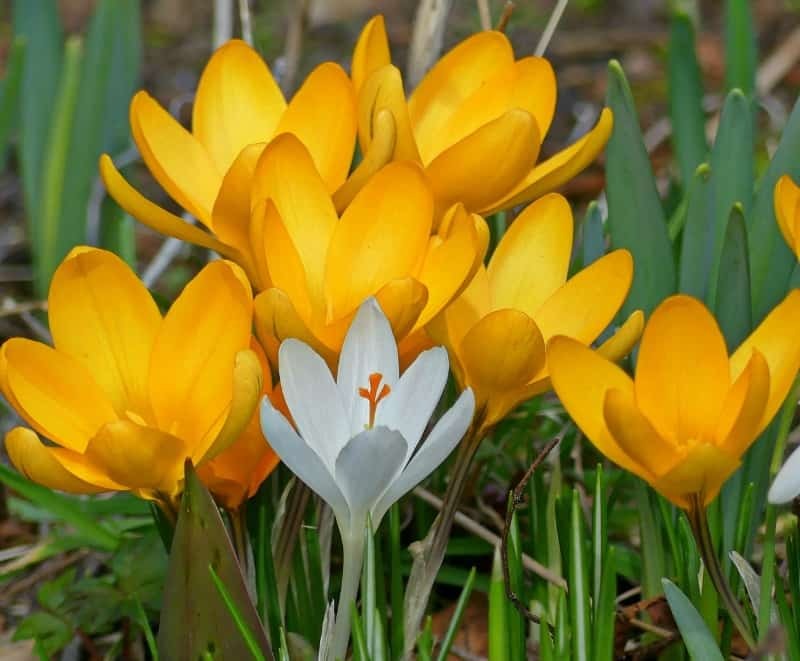 I love this about my crocuses. 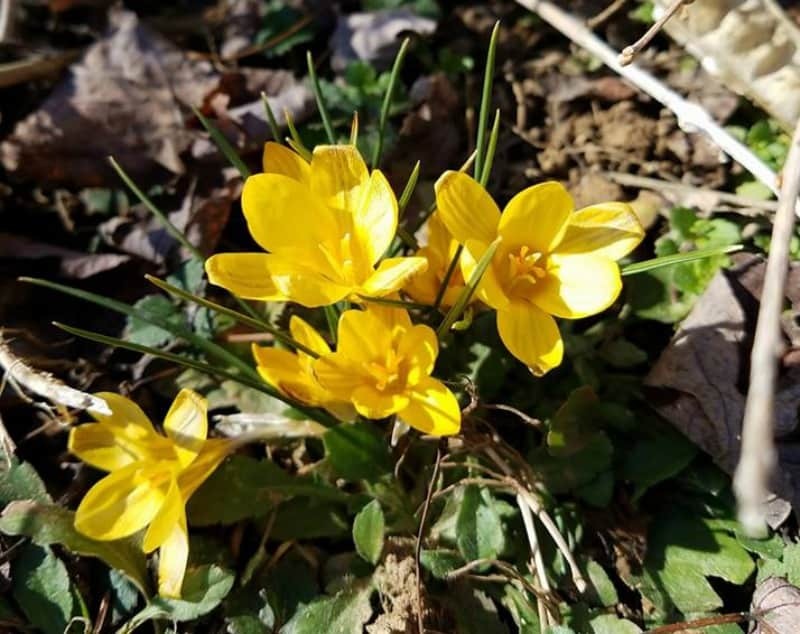 Here are the first ones that popped up in my garden this spring. 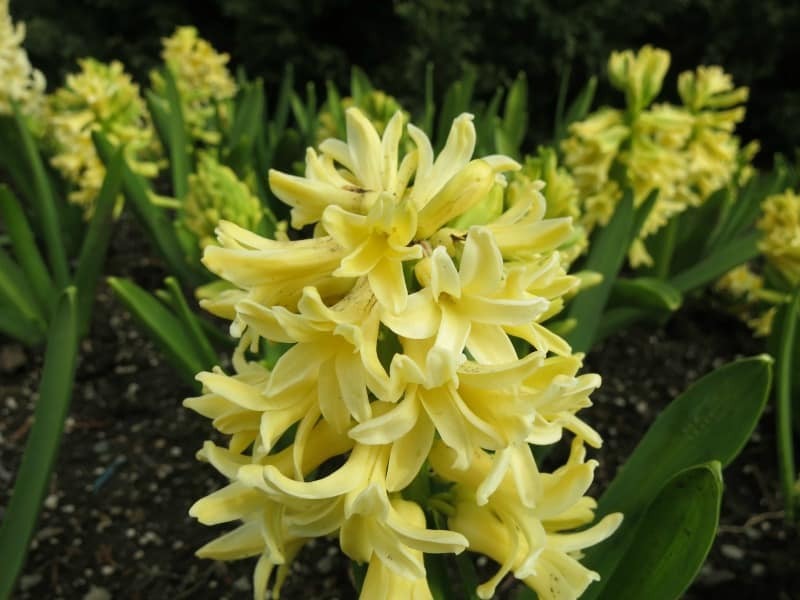 Not really a rose, this spring flower blooms lots of brilliant, double yellow flowers. 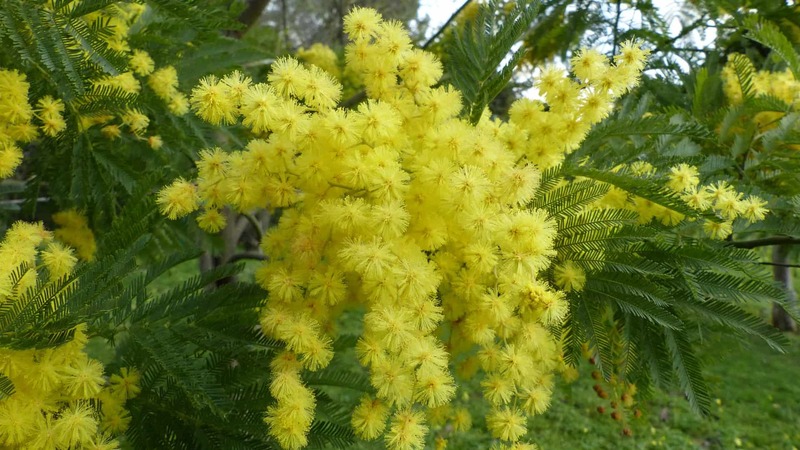 Gorgeous tree/shrub with small beautiful yellow balls for blooms. This is another one of my favorites. 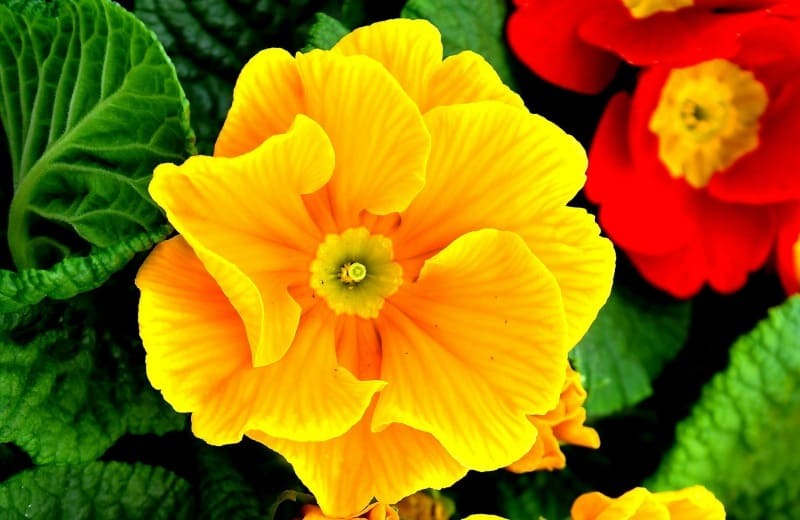 I love it especially together with other colors of primrose. They have such vibrant colors! 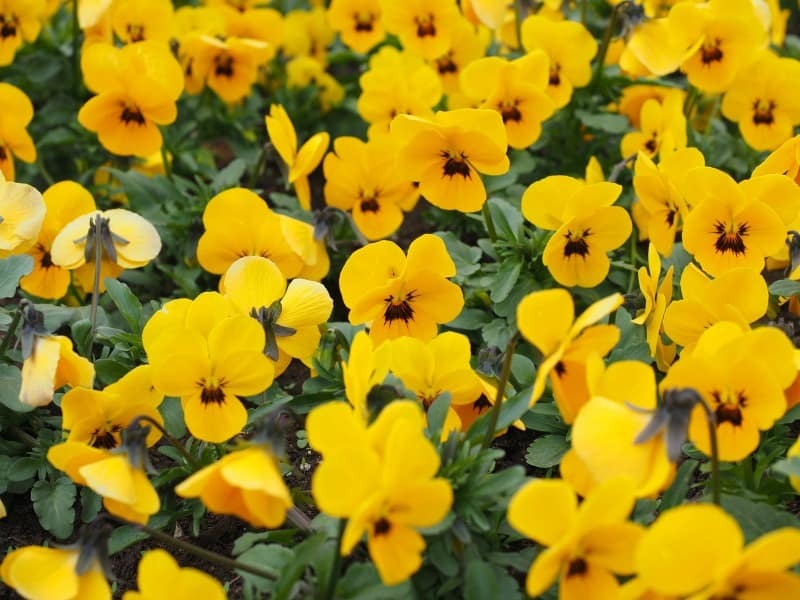 Yellow pansies are one of those plants everyone has in their garden one time or another during the year. 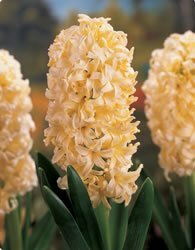 They stat blooming in early spring and continue to bloom throughout the summer. 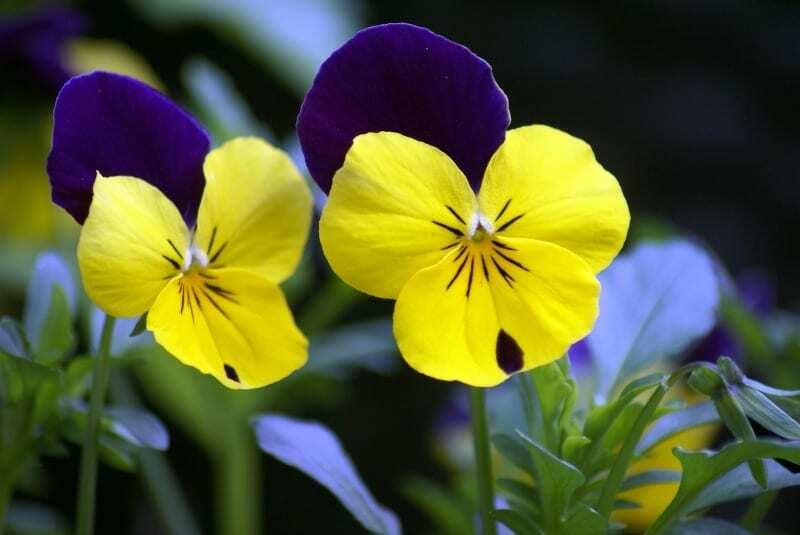 I like the yellow pansies, but I adore the yellow and purple pansies even more. They’re just so beautiful! Don’t you agree? 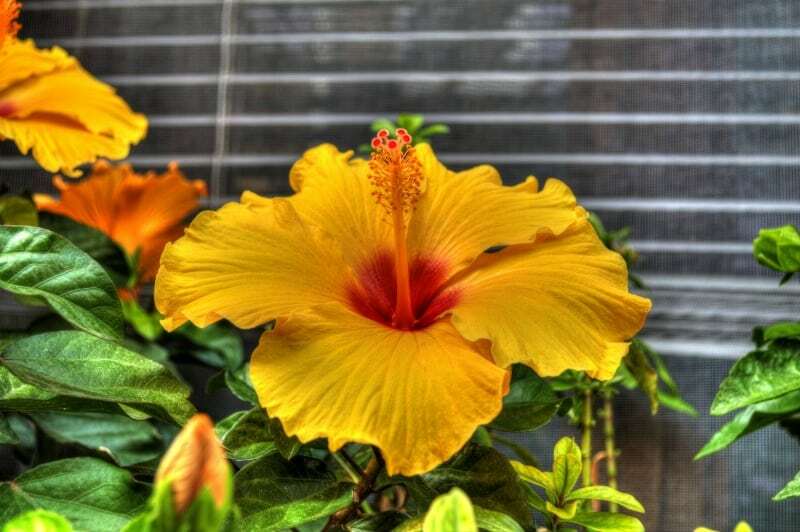 A late spring bloomer, hibiscus comes is a nice variety of colors including yellow. They are stunning! 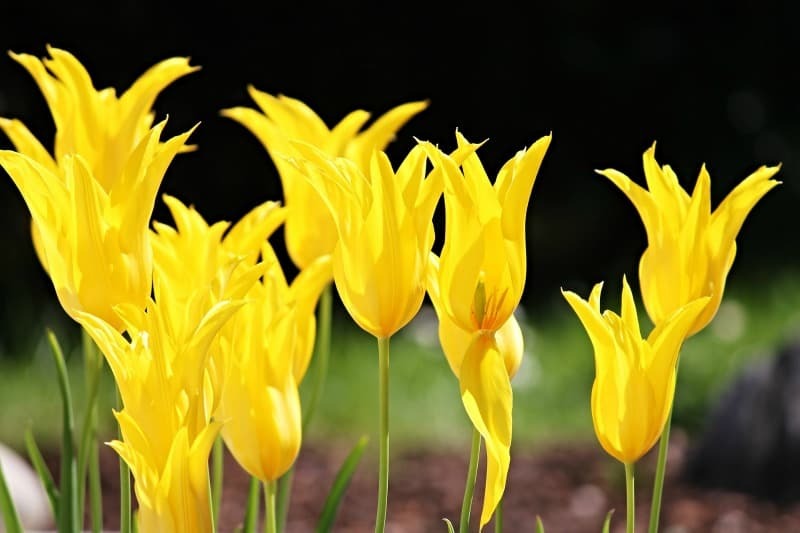 I hope you enjoyed these gorgeous spring flowers and are inspired to try some in your own yard. Yellow flowers pair really nice with blue flowers. These flowers are gorgeous! I’ll need to remember to plant them next year! These are all lovely, but that forsythia is spectacular!